Organizations today are grappling with the need to work faster, deliver sooner and scale infinitely. But in many cases, they are unable to run their applications on the public cloud. They are held back either by regulatory and legal requirement or do not want their strategic assets to leave their organization. Does this mean that organizations with sensitive or strategic applications will lose out on the benefits of a cloud architecture? 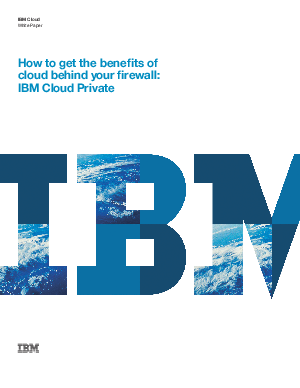 Download this whitepaper to learn how IBM Cloud Private provides a common and consistent platform for enterprises to rapidly innovate while retaining the flexibility to use public clouds and services.